Like most families what matters to us most is quality time together. So often it can feel like the general admin of life gets in the way of actually enjoying spending our days together. 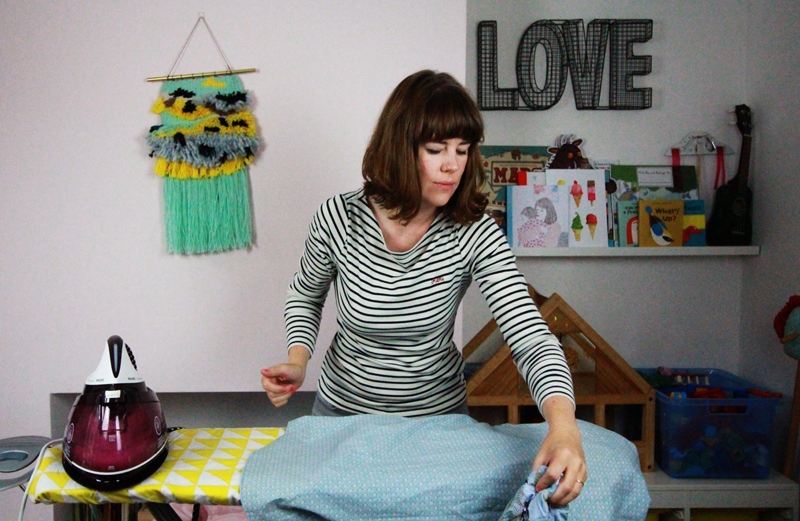 It's something I'm so very conscious of when I'm with the kids and I'm sure one of my most used phase is 'hold on a sec I just need to do...' (insert house chore/making dinner/planning kids social calendar...) you know how it goes! Philips challenged us to try out their new PerfectCare Compact Steam Generator Iron in a bid to cut down on our ironing time and in turn spend more time together as a family. The Philips PerfectCare Compact boasts an impressive two times more steam than a regular iron, saving you on average 30 minutes a week. Time that could be so much better spent! 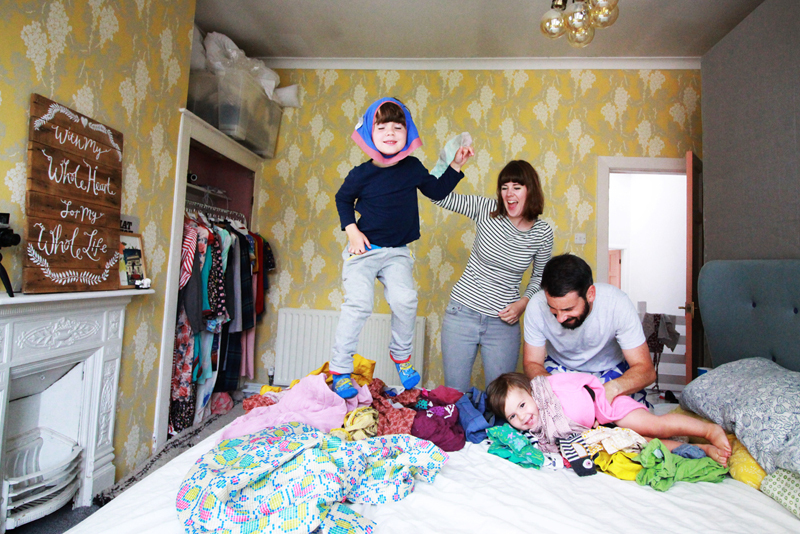 To ensure we really put it to test we divided our family into 'team mum' and 'team dad', divided our laundry pile and tasked the kids to get each other teams pile as crumply and full of creases as possible! Tom and I then set about ironing! We timed each other to find out first off if this iron really did cut down our usual ironing time and secondly, who would be the winner. You'll have to watch our video to see who won! 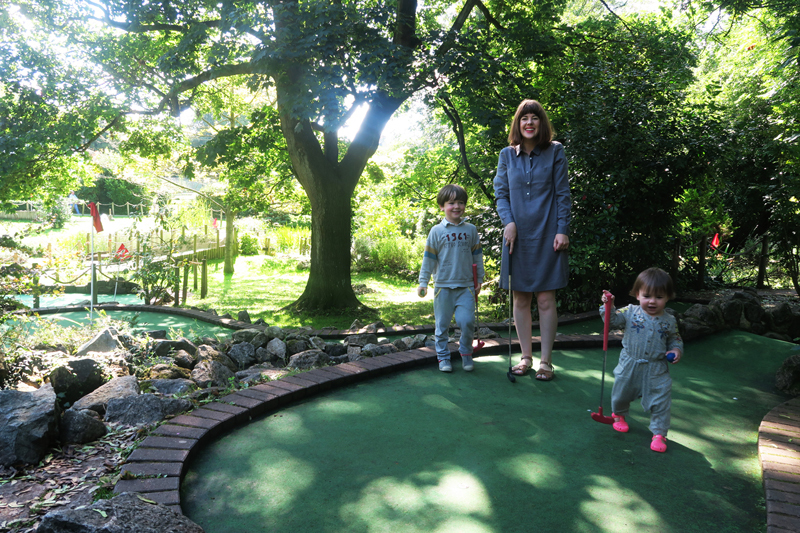 The winner got to choose our family activity which ended up being crazy golf. It was such a fun morning and we were genuinely so impressed with the iron. What’s great about it is that it has a 1.5 litre transparent tank attached to the base which gives you an hour and a half of continuous use. The actually iron is noticeably compact and really light to use and the continuous steam allows you to iron quicker. What I also loved about it is that with OptimalTEMP technology you can iron on a variety of fabrics (from denim to silk with no risk of fabric burns!) without having to fiddle with settings or change the temperature. Do have a watch of the video we made testing it out, the kids had SUCH fun making sure the clothes were well and truly creased by jumping up and down and rolling around in them! Philips are also offering one of my readers the opportunity to win a PerfectCare Compact Steam Generator Iron (RRP £200) all you need to do is enter the Rafflecopter widget below. Here's to more quality time with the family and less time on chores! 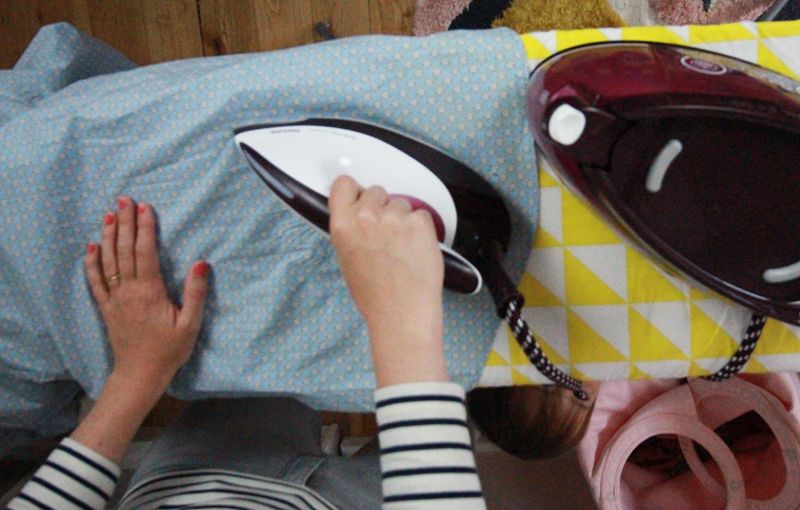 I bet there's a great side effect from this iron- your skin will be steamed too! 'Lightweight steam generator iron with compact design for effortless ironing' is my favourite feature, as I have a weak wrist. Tom won, maybe he should do the iroing?